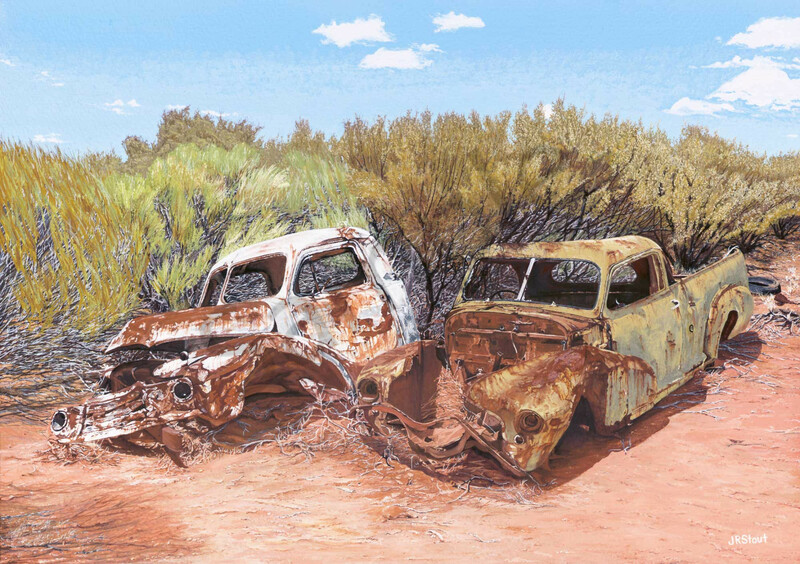 Water colour painting of rusty wrecks in the Australian outback. The painting shares the discovery of 'rusty wrecks' founded in the Australian outback. Using water colour to provide depth and baron scenery, the painting brings to life, the harshness of the Australian landscape.